The special St. Patrick’s Day card, presented by United Promotions, was held at Hersey Centre in Mississauga, Ontario, Canada. 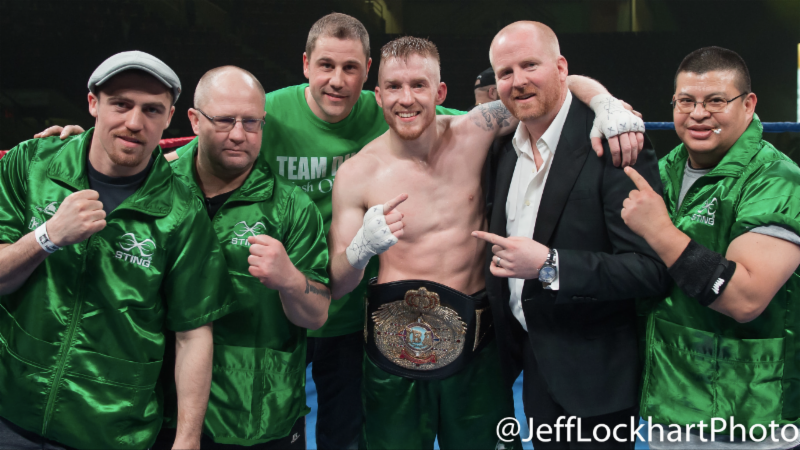 The 27-year-old O’Reilly (11-0, 4 KOs), an Irish-Canadian fighting out of Hamilton (Canada), defeated Orozco by scores of 100-90, 100-90 and 99-91. “I’m very happy with my performance, especially against such a tough opponent,” O’Reilly said. “I’m glad I got 10 rounds in and, overall, I think it was a good performance. Former International Boxing Federation (IBF heavyweight champion Frankie Rill (15-2, 11 KOs), stopped Argentinian knockout-artist Sebastian “El Grandote” Ignacio Ceballos (34-10-2, 26 KOs) in the opening round of the co-featured event. Canadian light heavyweights Jason Alexander (2-3, 2 KOs) and Darren Fletcher (1-4-2) battled to a six-round majority draw. Indian middleweight prospect Sukhdeep “Chakria” Singh, a 2012 Senior National Boxing Championship and 2011 Boxing Super Cup gold medalist as an amateur, had an impressive pro debut, knocking out Alejandro Garcia (2-2, 1 KO), of Mexico, in the fourth round. Undefeated Armenia-native Andranik Grigoryan (3-0), now fighting oit of Montreal, won a six-round unanimous decision versus previously undefeated Mexican featherweight Sergio “El Duende” Palafox (7-1, 2 KOs). Grigoryan gained invaluable experience as a key member of the Russian Boxing Team in the World Series of Boxing. Mexican super welterweight Mario Bedolla Orozzo (1-1-1) won a four-round split decision over pro-debuting, local favorite Karl “The Razor” Hess.